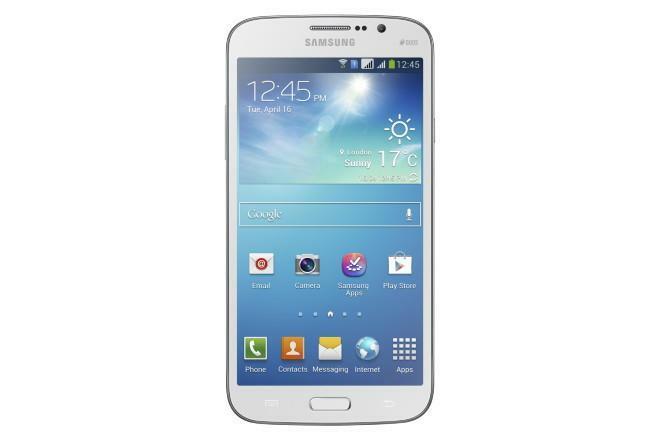 From November 25th, MetroPCS will begin offering the ginormous Samsung Galaxy Mega. The company announced that it would available to buy from its online stores and from retail outlets. Prices are from $349 (plus tax) for new customers who buy the Mega in a MetroPCS store. That price includes an instant $100 rebate in place “for the holiday season” and a $50 rebate for getting it at a MetroPCS store. The Mega is a huge device, packing in a 1280×720 resolution, 6.3-inch Super Clear LCD display. It also features an 8MP camera, 1.7GHz dual-core processor and a 3,200mAh battery and runs Android 4.2. Let us know if you’re planning on grabbing the massive phone from MetroPCS, or if 6.3-inches is just a touch too far for your hands. ← T-Mobile to launch new, data-only Simple Choice plans for smartphones tomorrow? I don’t think that’s a pic of the Mega 6.3. The icon grid on the Mega 6.3 is 5×5. That pic has the standard 4×4. EDIT: That’s a pic of the Mega 5.8, the smaller version that was released in some territories, however it’s the 6.3 that’s coming to Metro. Adding more folks to an already capacity limited network here in Cincinnati. I think they should’ve waited till cinci’s lte was deployed. And the waiting continues…..
Yeah, just like when the “rumored” city list came out back in May, it said Cincinnati-Dayton for lte. So Metro (like other carriers) fails to acknowledge CURRENT customers. This price cut is for NEW lines only………………..such bogus BS from Metro/TMO………………once they have you, you get NOTHING, except the option to buy new phones at FULL price….a joke. Since there isn’t a contract just add another line get a new number and go back the following month and have them move the old number to the new phone..
Wrong – the $100 off is for upgrades too. Visit a store and find out for yourself. Wow that’s a pretty great price with the deals they’re giving. Can we use Metro devices on T-Mobile? they both run on the same network so im guessing? Please, please, please make it working with T-Mobile without unlocking. I’d like to use it as tablet. I wonder if DT ever devices to sell all its US shares if tmobile would just rebrand itself MetroPCS or would they come up with a new brand entirely? T-Metro? Cam,can please findout if Metro phones work with Tmobile sim cards. People need to know this. Thanks. if we can use tmo sims, do we need to have the phone unlocked first?